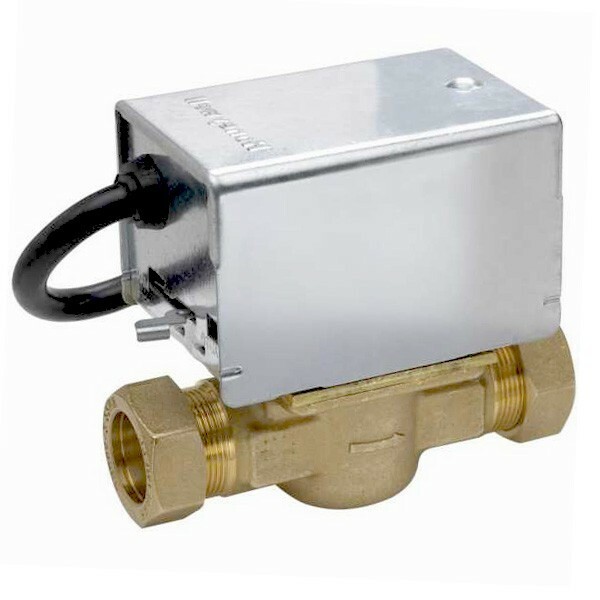 The Honeywell V4043 series of two port Motorised Valves has a wide range of flow control applications in domestic and light commercial central heating systems. The Honeywell V4043 series of two port Motorised Valves has a wide range of flow control applications in domestic and light commercial central heating systems. The Honeywell V4043H normally closed models have end switches for electrical control of pump and/or boiler, whereas the Honeywell V4043B normally open model is particularly applicable to control of solid fuel systems, since it will always fail-safe in the event of a power failure.